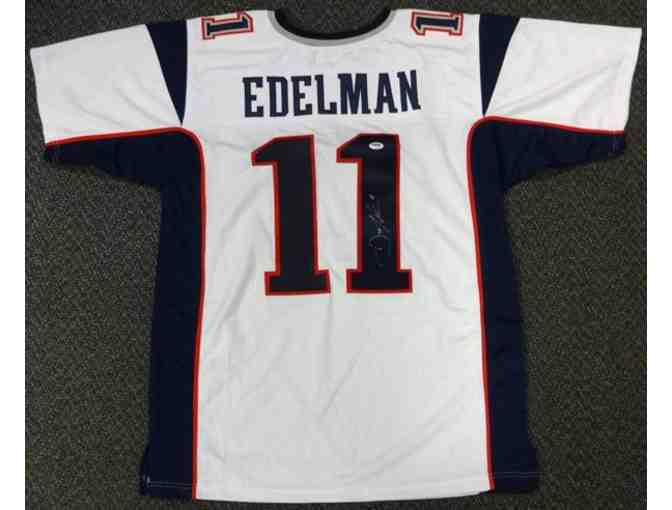 Julian Edelman Autographed Football Jersey. He helped win both Super Bowl XLIX and Super Bowl LI with the Patriots. Edelman is notable for his charismatic personality, for having played both wide receiver and cornerback in 2011, and for his punt returns. He holds the Patriots' franchise record for longest punt return, and the most punts returned for touchdowns with four.